SMS marketing is a widely used marketing strategy by many small and medium-sized businesses. It is a very compelling and competent strategy that is also cost-effective and can also be used by new businesses or start-ups. Businesses have earned a large number of profits by introducing SMS marketing into their business. This strategy is very engaging and helps businesses gain honest customers. In this modern world of technology, mobile phones are used by all. This is acknowledged by many businesses as a positive point to convey their promotion of products and services to their target audience. SMS marketing has proved beneficial due to its unlimited advantages. The more important for a business is to choose an SMS marketing company for the promotion of its products and services. Sending of SMS without delay: An SMS marketing company is professional and know the rules and regulations of sending an SMS. They know the time to avoid and prefer to send SMS to the customers as they know the value of time in SMS marketing strategy. Their main focus is to deliver the message in time so that their business client can earn most benefit from SMS marketing. To deliver the message to the right target: SMS companies need to earn the trust of their business customers and they pay full attention towards finding the right target audience for the related business products or services. Enough databases: It is very difficult for you as a business to collect the database of your potential customers. Businesses collect data from social media sites or from other platforms which is not sufficient. 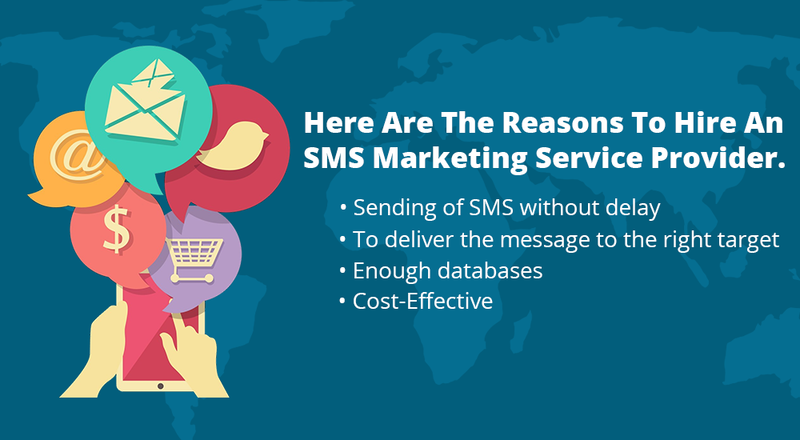 It is good for businesses to hire an SMS marketing company as they have techniques and methods to get enough databases. Cost-Effective: Businesses should hire an SMS marketing company as they get a large number of potential customers by spending very less from their pocket. In this way, a business can incorporate other marketing strategies along with SMS marketing that gives their business an ultimate boost.